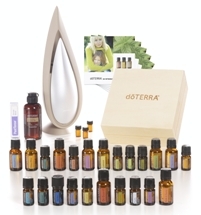 As a Consultant of doTERRA, you are required to purchase one of the following enrollment kits. Please select your enrollment kit. 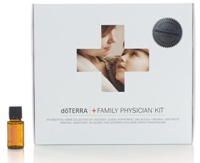 The Wellness Complete Enrollment kit includes the IPC Introductory Packet, Family Physician Kit, Essential Skin Care Kit w/ Scrub, AromaTouch Technique Kit, Lifelong Vitality Pack, TerraZyme, Invigorating Scrub, and Lotus Diffuser. The 20/60 Enrollment kit includes the IPC Introductory Packet, 20 Intro Kits, and a Family Physician kit. Fractionated Coconut Oil 4oz, 5 Introduction to Essential Oils Audio CD, Wooden doTERRA Storage Box, and 12 Amber 5/8 Dram Vials. The Family Wellness Enrollment kit includes the IPC Introductory Packet, Lifelong Vitality Pack, PastTense Roll On, Fractionated Coconut Oil, On Guard Foaming Hand Wash with 2 Dispensers, and the Family Physician Kit. 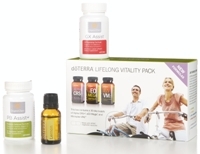 The Cleanse and Restore Enrollment kit includes the IPC Introductory Packet, Lifelong Vitality Pack, GX Assist, PB Assist+, and Lemon 15 ml. The Family Physician and Slim & Sassy Enrollment kit includes the IPC Introductory Packet, Family Physician Kit, and Slim & Sassy Essential Oil.